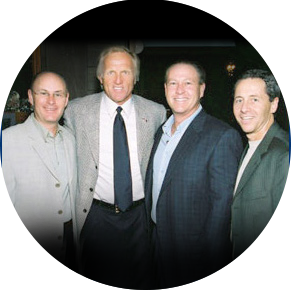 We both strive to produce the very best and we both have an exacting attention to detail, Norman said about the Zuckerman Group. Zuckerman Homes has built a number of prestigious communities in South Florida and it was an ideal fit for The Medalist Country Club Estates and Spa, so we asked them to come on board. Medalist Village is an outstanding community deserving of an outstanding builder, and we are extremely confident that the lots will sell out quickly. Our Zuckerman home is truly our "Castle". The Zuckerman family accommodated every request to make our home unique for us. We are now enjoying the lifestyle of luxury in our new home. Thought that I would let you know how very happy Fran and I are with our lovely house. With all of the help that you have given to us, our Zuckerman Home is beautiful. My first homebuilding experience with Zuckerman Homes was nothing but pleasurable. I have had my Zuckerman home for over 15 years and it still remains as evidence to their quality craftsmanship and attention to detail. Furthermore, their personalized customer service is first-rate. Now that I am preparing to build a second home, I chose Zuckerman Homes without hesitation. Zuckerman Homes achieve superb architectural detail of classic elegance, to an already elegant home. Where the craftsmanship is evident in quality standards in every room of the house. We are thrilled with our new home. Quality workmanship throughout and the best sales and service staff to boot. We would highly recommend anyone to build a home with Zuckerman Homes. Because of our satisfaction we would not hesitate to build another home by Zuckerman. All employees are extremely cooperative and helpful.